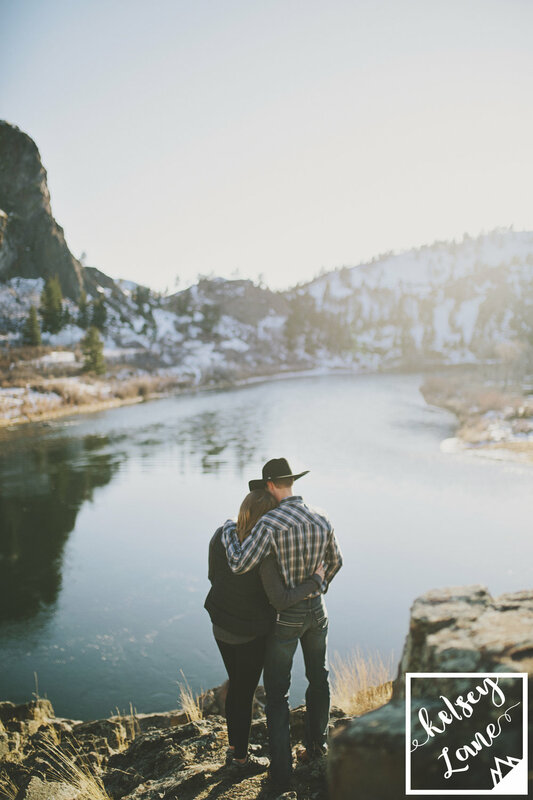 Hardy Bridge made for a picturesque place for this winter engagement session! These two drove from Havre, Montana in order to get to the gorgeous canyons and rivers of Cascade, Montana. When they got there, we clicked right away! 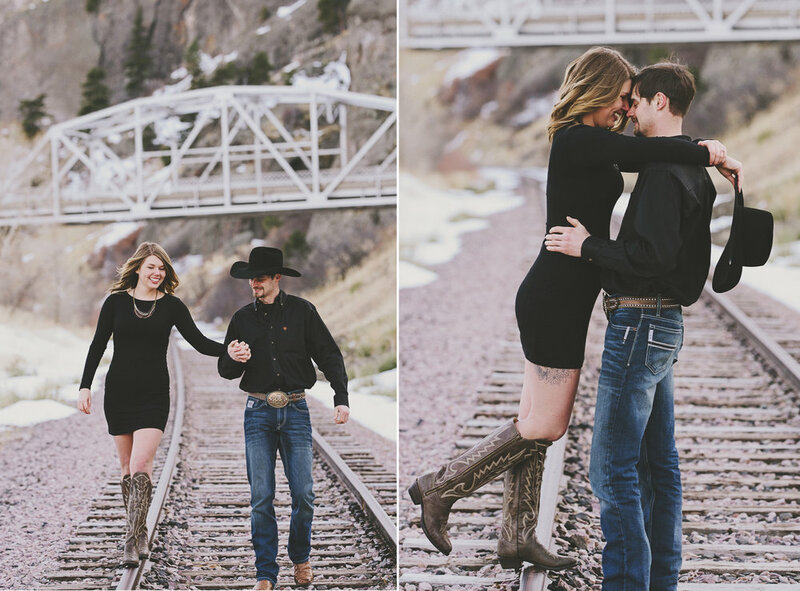 They were down to walk on a deserted railroad track and they looked good doing it. 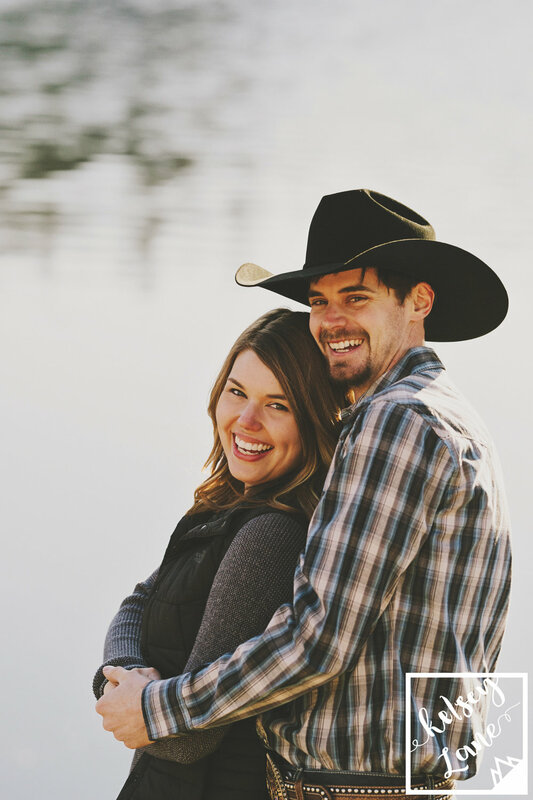 The love they had for one another was tangible and that's our favorite part of photographing an engagement session! ps. Can I also just say that I LOVE the cowboy boots? I have a couple pairs myself and they're my favorite to rock in the summertime. The real connections are the ones I can see and these two had such a sweet connection. 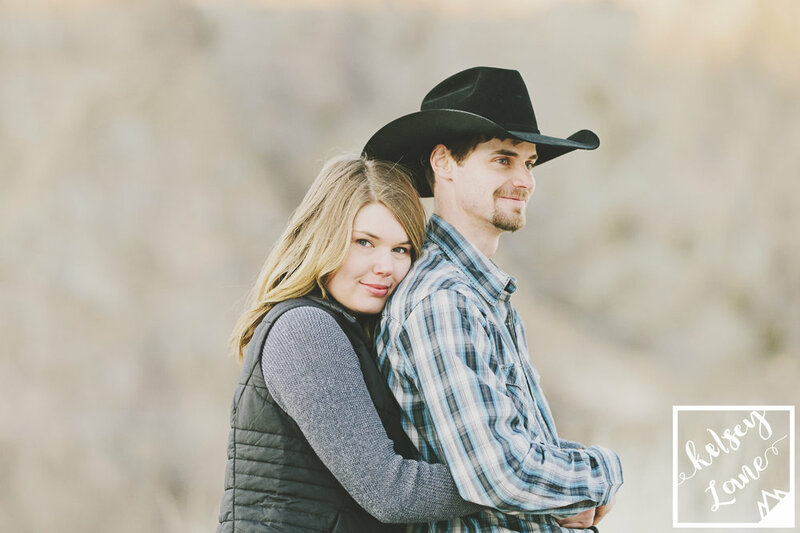 They were silly, lighthearted, and willing to go along with our shenanigans all over the canyon! These two lovebirds knew how to dance! 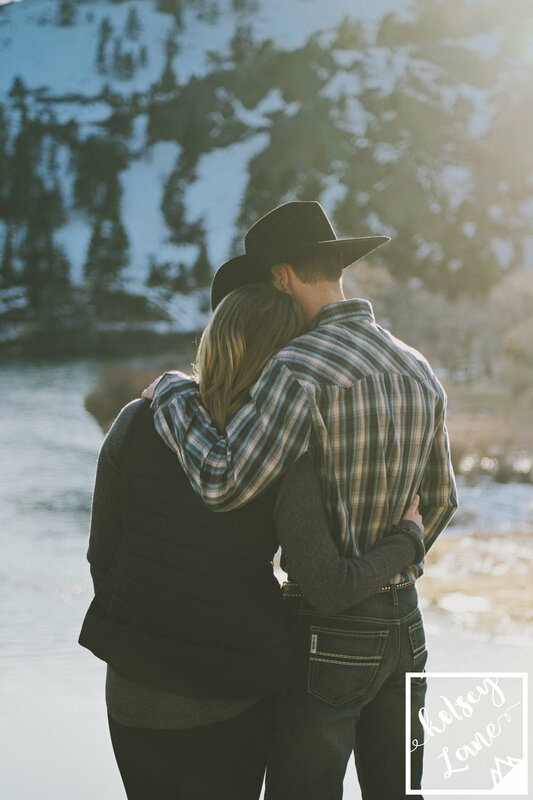 If this is the engagement session, I can't wait for the first dance of their wedding night!